Top Floor, Great view -- considered the nicest studio in the Westgate! This is the nicest studio in Westgate! Top floor, vaulted ceilings, fantastic view of the valley. Experience the luxury and convenience of this beautifully appointed studio apartment at the Westgate Park City Resort & Spa, ranked “Best Ski Resort” by Best of State Utah for both 2014 and 2013. Imagine taking just steps outside your door to meet your complimentary ski valet and putting on your skis right at the base of the Canyons Resort gondola! After a fantastic day of skiing, return home to a relaxing steam shower in the privacy of your own suite. This beautiful studio apartment is in the Moose lodge and can very comfortably accommodate up to 2 guests in a King size bed in the master bedroom area. The apartment also includes a Queen size sofa-sleeper in the living room area if you'd like to bring additional guests, and a stunning bathroom with a steam shower. Also included are an on-site clothes washer and dryer, free WiFi, flat screen TV with cable/satellite, electric stove top, a dishwasher, studio size fridge/freezer, microwave, and garbage disposal. The incredible amenities include complimentary ski valet with private ski lockers (equipped with boot dryers and an attendant), 3 pools with spas and saunas (including the state’s largest indoor/outdoor pool and a private 18+ pool just for adults), state of the art fitness center, a world-class health spa, basketball and tennis courts, a playground, game arcade, underground parking, and front desk concierge available 24/7. Also on-site are award winning restaurants, convenience and liquor stores (offering organic and local gourmet selections), fantastic child-care services at the Kids Camp, and shuttle van service to most locations in Park City (Main Street) and Kimball Junction. If you choose to bring a car, the studio comes with one unassigned covered parking space. This is truly a magnificent place to stay with friends or family in the heart of one of the “Top 10 Ski Resorts in North America” according to SKI Magazine. Any cancellations must be submitted in writing. In the event that a guest cancels the reservation more than 30 days before the rental period is due to begin, the Tenant forfeits 35% of amounts already paid. Efforts will be made to try to rent out the same period or part of the same period. If successful, Owner will return the sum to the guest minus a 20% service fee. If the cancellation is within 30 days of the rental period and guest has paid all funds, efforts will be made to try to rent out the same period or part of the same period. If successful, Owner will return the sum to the guest minus a 20% service fee. John and Trish are a brother and sister team dedicated to making your stay a fantastic one. We started managing rental properties a few years ago and discovered that we really love doing this! John lives locally in Utah and can provide you with a native’s perspective on all the amazing things there are to see and do here. Trish lives in New Jersey and is looking forward to working with you to provide you with prompt responses to your questions and concerns. Anything you need, we've got you covered! We absolutely love skiing at The Canyons and the Westgate is just so convenient and offers so many incredible amenities, we just couldn't imagine staying anywhere else! The convenience and luxury of the Westgate is simply unmatched. You just can't get any closer to a gondola, period. The luxurious touches like in-suite steam showers, personalized ski valet services, on-site childcare, and the largest indoor/outdoor pool in the state make this an experience you simply can't miss. toilet, shower, Includes steam shower! 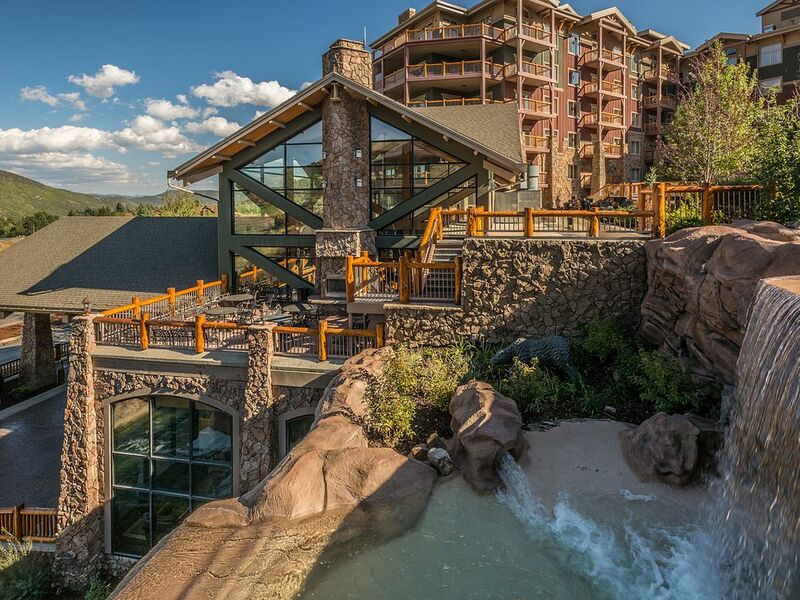 This property is at the Westgate Resort & Spa, at the base of the Canyons Ski Resort, voted one of the “Top 10 Ski Resorts in North America” in the annual SKI Magazine reader survey. The gondola at the Canyons is just steps outside your door! The Ski valet will meet you with your clean, dry skis right outside the gondola. After an amazing day of skiing, simply drop your skis off with the ski valet - right at the base of the mountain. Public game room is amazing - arcade games, pool table, and more! A private pool for 18+ is available for adults who prefer a quiet swimming experience. Largest indoor/outdoor pool in Utah! Loved our stay in the studio at Westgate! The spa, gym and pool were fantastic. The location was perfect for skiing, shopping and dining. Thank you John! Can't beat the location and view at this great condo! I rented 2 different units from different owners. One was the 4bdrm Penthouse. When we checked in, the penthouse owner was almost impossible to get a hold of and we had issues upon checking in, however, John's unit was ready and so was he. He promptly answered calls and checked in to make sure we were all good! Great customer service! This is a very nice place. My son and I had a ski weekend and this suited our needs perfectly. I was pleasantly surprised how functional the kitchenette was. It had everything you’d need to cook small meals. Microwave, stovetop, small fridge and dishwasher. Pots and pans, plates, cups, measuring cups, mixing bowls, etc. We didn’t use the pullout couch, but I think it could handle a party of three or four adults. It would be tight with all the luggage and gear. But doable. The bathroom has a steam shower which I enjoyed and is Easy to use. The wood trim is a little beat up, but that didn’t affect our stay. The resort is big and lots of walking, but we found skier services and the skier locker room to be very helpful and convenient to use. The employees at the resort are really nice and helpful. No complaints from us and we look forward to returning in the future. The unit was wonderful, John was so helpful, and the skiing was great! The studio apartment was perfect for my solo ski trip and the amenities at the Westgate are outstanding. Great value. Whether you are here for the world-class skiing, snowboarding, golfing, or the Sundance Film Festival, Park City has something to offer for everyone. From fine dining and shopping on historic Main Street, to wilderness adventures like hiking, horseback riding, and dog sledding, this will be a trip you and the entire family will remember forever. Skiing conditions in Park City aren’t just great, they’re epic. Discover Utah’s world-renowned snow at The Canyons Resort, Deer Valley resort, Park City Mountain Resort, or Sundance resort, all just minutes from the Westgate. While the on-site convenience of award-winning dining available at the Edge Steakhouse and Draft Sports Bar & Grill means you don’t have to leave the resort to enjoy amazing meals, Park City is filled with world-class restaurants from many different culinary styles and influences, view a complete listing. Historic Main Street offers a host of enticing boutiques, sure to please the inner shopper in anyone. The Premium Outlets at Kimball Junction are also just a few minutes away by car or shuttle. Between January 22 and February 1, 2015 the Sundance Film Festival will transform Park City into an independent film lover’s dreamland. The Westgate is just moments away from the Canyons Transit Hub for the official festival shuttle service. The area surrounding Park City is an outdoor lover’s paradise. Golfing, hiking, horseback riding, fishing, snowshoeing, dog sledding and more await you!